"Brevity is the soul of wit!" So said William Shakesepeare, but he might also have said that using time efficiently and effectively is the key to a successful special event, especially the kind where people address a crowd assembled. 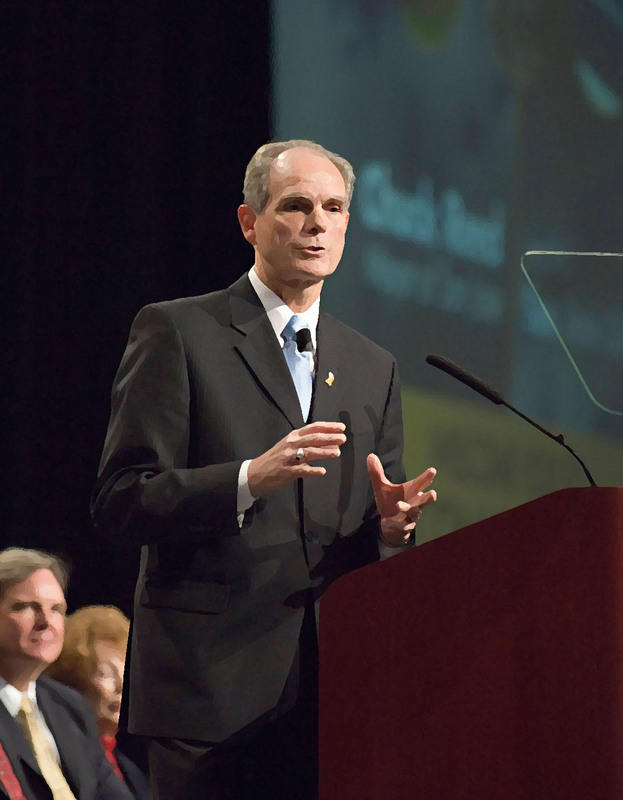 Success in such an event, and the annual State of the City Community Breakfast in San Jose is no exception. 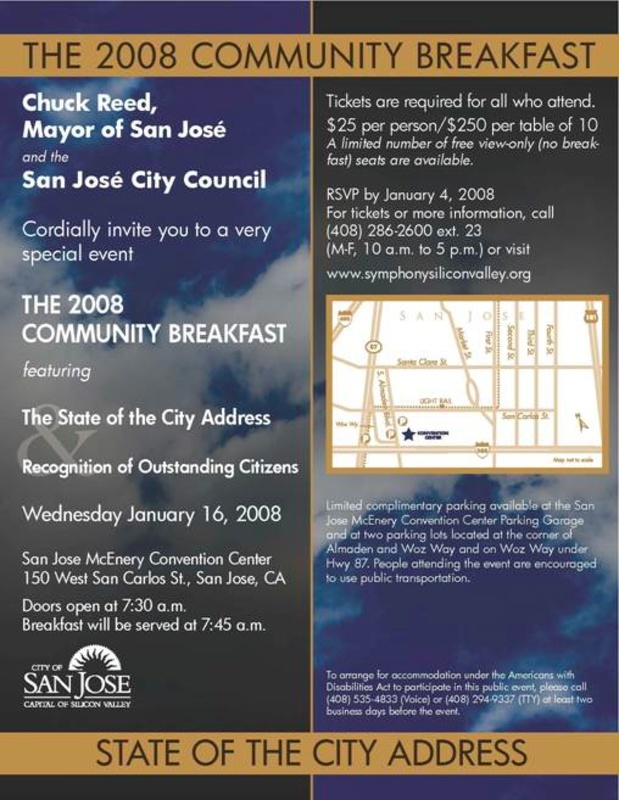 Mayor Chuck Reed and the San Jose City Council engaged the services of James P. Reber to produce the event in 207 and 2008. Producing the event means coordinating the efforts of a team of outstanding City Hall staff and volunteers. In creating an event that contains the right amount of dignity and ceremony without becoming a drudgery of wasted time and energy, it is important to have a group that is as talented and dedicated as the group that works on the State of the City Community Breakfast. It also meant redefining the event from what it had been under the previous administration. Mayor Chuck Reed gave the basic instruction that it was to be no longer than 90 minutes, including breakfast for 1,500 to 1,700 people, the handing out of awards to outstanding City employees, as well as District Honorees from each council district, and the most important part of the State of the City Speech. The key to success in this event is to keep to a tight schedule and to choreograph the event in such a way that there is no "down time" or "dead air". This is solved partly by having two emcees, and by using the entire space in an efficient manner. The ultimate goal is to have a crowd that is alert and anxious to hear the Mayor when he gets up to speak. They aren't worn out from being bored or wondering what is going to happen next. The event moves from one step to the next in a very fluid motion, as one would expect a good drama to move. The State of the City Community Breakfast works because everyone is in sync with the goal and the guiding hand of the producer is clear on what the essence of the event is. In both 2007 and in 2008 the event was considered a great success.